Home > Questions-Answers > What do I do if I already have medication overuse and very frequent headaches? The key is to stop the medication overuse. This is not always easy, as the headaches often become temporarily worse when the overused medication is stopped. There are five important components which are necessary for most people with migraine and medication overuse headache if they are to successfully get out of the bind they are in. Unless you understand a little about migraine, and realize that medication overuse can make your headaches more frequent, you are unlikely to succeed. The more you know about migraine and medications, the better. If you don’t achieve this, nothing else is going to work for you. Once you are convinced this is necessary, talk to your doctor about how best to do this. Depending upon the type of medication you are overusing, and how much you are taking, it may be possible to stop the medication abruptly. 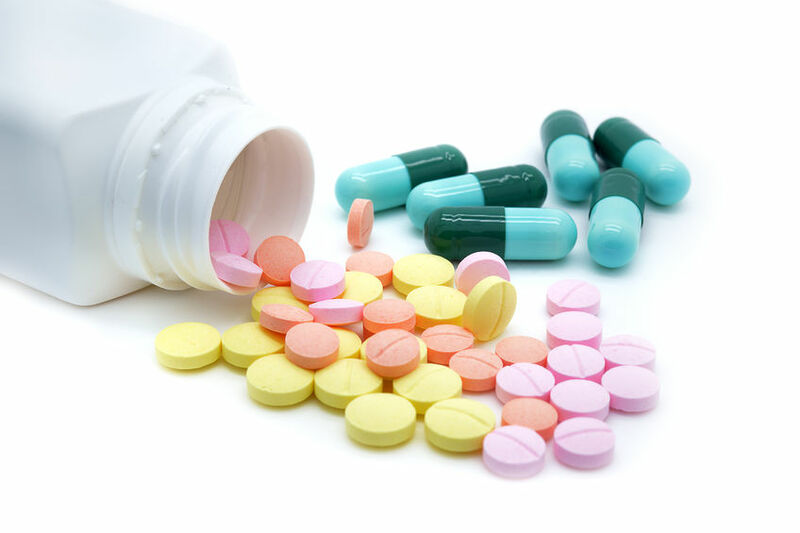 With some medications, particularly those that contain barbiturates, it is important to reduce the medication dose gradually. If you are taking high doses of opiates, for example codeine, it is also best to taper the medications gradually. Whichever method you and your doctor choose, it is very helpful if you keep a careful headache diary during this time. This diary should include not only the headaches themselves, but also the medications you are taking. In this way, if you are tapering the dose of your overused medication, you can keep track of where you are in your tapering schedule, and know that you are on track. Talk to your doctor about going on a prophylactic medication. This may ease the temporary headache increase caused by stopping the overused medication. In addition, you probably have quite severe migraine. That is why you ended up with medication overuse in the first place. So you need to take a prophylactic medication to help control your usual migraines which will still be there when the medication overuse has been stopped. A number of prophylactic medications can be used in this situation, but some of the most commonly used ones are the tricyclics ,amitriptyline and nortriptyline. These medications will also help with disturbed sleep, and perhaps also with some of the mild withdrawal symptoms you may suffer after stopping your overused medication. You have migraine, and therefore will likely still have some full blown migraine attacks, both during the medication withdrawal period and afterwards. You therefore need a good medication to treat these attacks. Assuming that you respond to them, good choices are a triptan or dihydroergotamine. The non-steroidal anti-inflammatory drugs NSAID can also be helpful, although they may not be enough if you have severe migraine attacks. In any case, it is important that you not start to overuse these medications, or you will end up no further ahead. In other words, at least for a while, you may have to put up with your mild and moderate headaches without using medication, and save it for when it is really needed. Having said that, sometimes doctors will, in addition to a prophylactic medication, give you something else on a daily basis to try to help you through the first week or two of medication withdrawal. The most commonly used medication for this purpose is probably dihydroergotamine in injection or nasal spray form, which is used on a daily basis for several days. If you are overusing opiate containing analgesics like codeine your doctor might give you an NSAID like naproxen on a daily basis for a week or two. Although in a way this is also medication overuse, NSAIDs are less severe offenders in this area then the opiates, so you are being “stepped down” in a sense, on your journey out of medication overuse. What can I expect when I stop medication overuse? The majority of people with migraine who have medication overuse and daily or near daily headache will improve considerably, perhaps as many as 70% or even more. They will go back to their intermittent migraine attacks, which can usually be treated relatively successfully. This may take some time, however, and how long it takes depends to some extent on the type of symptomatic medication you are overusing. People with daily headache who are overusing the triptans, examples include Imitrex, Amerge, Zomig, Maxalt, Axert, and Relpax, may improve quite rapidly, and begin to have headache free days within the first week of stopping their overuse. If someone is overusing analgesic combination drugs like acetaminophen – codeine combinations, it can take much longer. It may be several weeks before you see much improvement, and several months before you know how good things are going to get for you. It simply takes some time before the brain is able to bring the chemistry of the pain systems back to normal after prolonged frequent exposure to these medications. Plan ahead, get support Stopping medication overuse may be relatively easy for you, and you may feel much better in a week or two. Or it may be a rough journey which takes several months before you feel a whole lot better. You likely will need considerable support to get through this. Your doctor or a nurse who has seen all this before can help provide this support, as can family and friends who have been informed what you are going through, and what your ultimate goal is.